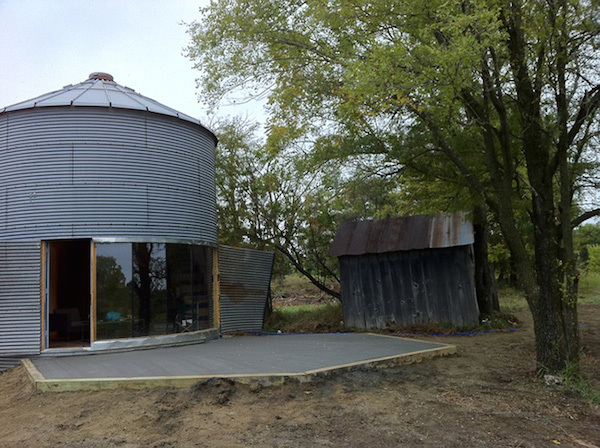 Brothers Rehan and Josh Nana recently converted an old, disused grain silo into a quaint cabin. The silo was located on their family’s farmland in Missouri, so the new structure is in no way out of place in its surroundings. One of the primary reasons they opted to complete this conversion was the desire to repurpose something that would otherwise be left to rot and rust. They were helped in making their idea become a reality by architect Kyle Davis of Blue Earth Projects.